Argentina’s interim coach Lionel Scaloni has said he is unsure if or when Barcelona forward Lionel Messi will return to the national team. 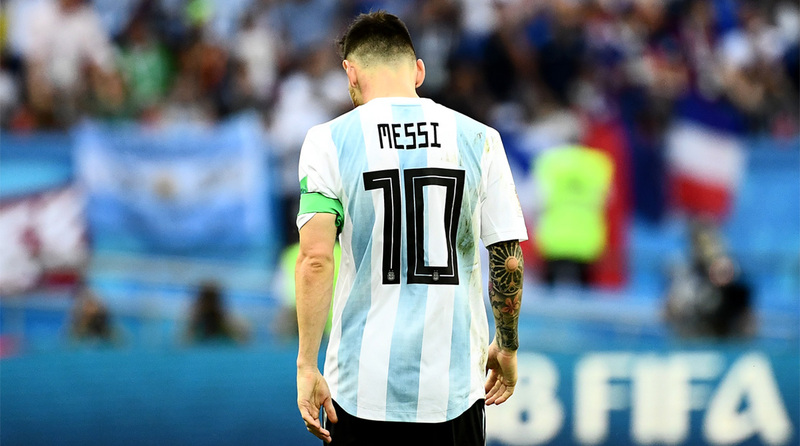 Messi was left out of Argentina’s squad for friendlies against Guatemala and Colombia next month, having reportedly asked for a break from international football. “It would be very unwise of me to tell Leo to stay at home and not come. There is no coach in the world who would benefit from Leo not being available. We did not talk about his future. He will not take part in these (upcoming) friendlies and we will see what happens in the next ones,” he added, Xinhua reported. The matches will be Albiceleste’s first since their erratic World Cup campaign, which included a 3-0 loss to Croatia and ended with a 4-3 defeat to eventual champions France in the last 16. Former Deportivo La Coruna wing-back Scaloni, who was named coach earlier this month following the sacking of Jorge Sampaoli, denied reports that other senior players had also requested leave from the national team. “No player has dropped out of this squad. I spoke to several and all of them said they were available,” Scaloni said. “All the decisions made were for the good of the national team and to see what we can contribute in the future. We understand that right now we need these footballers, who have enormous potential. Recently there has been some talk over whether some players could wear the shirt, now is the time for them to prove themselves,” he concluded.